The future of work will increasingly be about delivering superior experiences to both employees and customers. Enabling the workforce with better technology, including the right monitors, is a way to heighten such experiences. 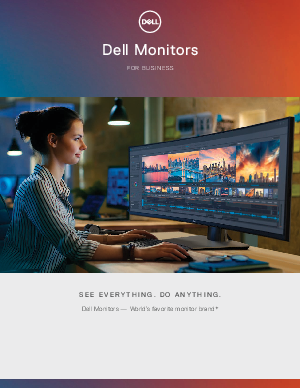 With a wide breadth of monitors to fit varying business needs and budgets, learn how Dell can make your business better.